Each night, after the minions are finally sleeping, I head downstairs to make lunches and clean up the disheveled mess generated in that little volatile window of off the bus to bedtime. Being a morning person, I’ve had to anchor a pleasure trigger to this chore and time of day to ensure these tasks aren’t skipped. My anchor—listening to audio books. For about 20 minutes each night I enjoy another portion of a book. Even this small window has enabled me to get through 12 books already this year. This may be one of my favorite books of all time. 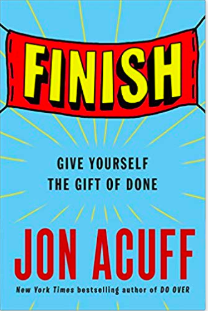 It gives practical advice for achieving your goals, and the author, Jon, is hysterical. One of my favorites is his “the day after perfect” advice… a must-do for anyone with big hairy audacious goals. If you only listen to one audio book this year, this is the one. Not only will you get a lot out of it, you will enjoy every minute. I’ve encouraged everyone in our Powerhouse Mastermind to listen and so far, each of them has agreed. 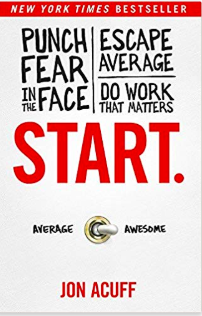 Once you read Finish, it is worth checking out Start. I didn’t like it as much, but still worth a listen for the same reasons mentioned above. Dang, this boy can hustle. Nathan tells the story of his resourcefulness when faced with a lack of resources and gives step-by-step strategies you can use to do the same. One of my favorites is his hack for getting very large lists of emails which he then sells to sponsors. If you want fast growth and the secrets for what to do when you have no budget (or simply want to conserve cash), this one is for you. 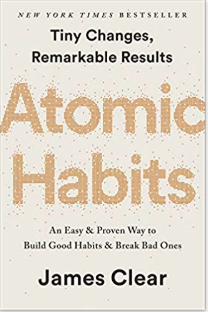 I listened to this book on one of the scariest drives of my life, navigating the winding roads between Atlanta and Nashville in torrential, street-closing downpours. And yet, it was still one of the best books I’ve ever listened to. 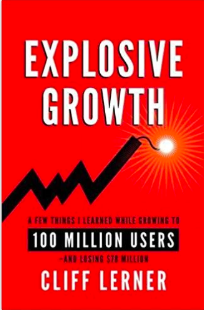 Cliff tells the story of how he grew a Facebook dating app from 0 to 100 million users and gives practical advice along the way on how to grow your business. One of my favorite parts was his secret publicity hacks. If you want more customers, this one is for you. This book will change the way you think about goal setting and give you practical things you can do now to crush your goals. 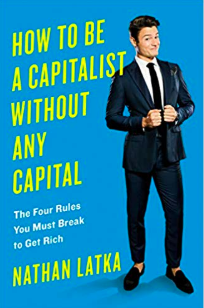 The ultimate life and business hacks book. Make sure to listen for his advice on how to overcome a lack of will power and motivation. Golden. Want more book suggestions? Check out a list of my favorites here. Do you have a favorite book you’ve read so far this year? Let me know in the comments below.